Product prices and availability are accurate as of 2019-04-23 12:16:27 UTC and are subject to change. Any price and availability information displayed on http://www.amazon.co.uk/ at the time of purchase will apply to the purchase of this product. 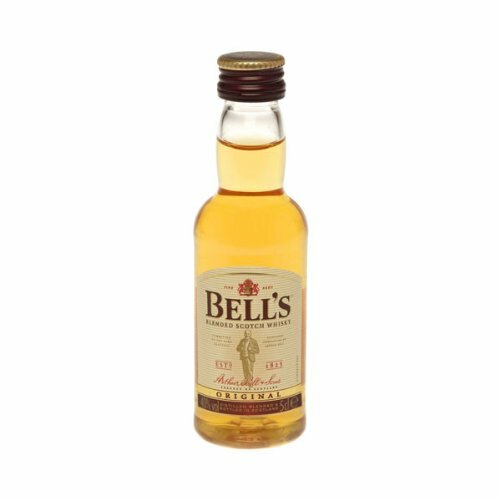 The Single Malt Whiskey Store are happy to stock the fantastic Bells Original Blended Scotch Whisky (12 x 5cl Miniature Bottles). With so many available recently, it is wise to have a brand you can trust. 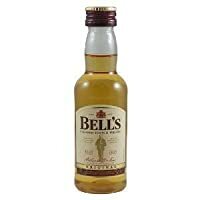 The Bells Original Blended Scotch Whisky (12 x 5cl Miniature Bottles) is certainly that and will be a great buy. 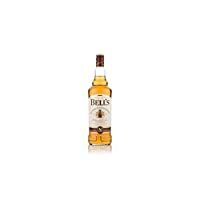 For this price, the Bells Original Blended Scotch Whisky (12 x 5cl Miniature Bottles) is widely recommended and is always a regular choice amongst lots of people. 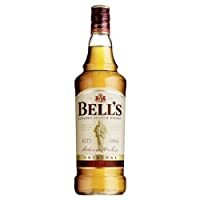 Bells have provided some great touches and this means great value for money. The unique flavour of Bell's Blended Scotch Whisky comes from some of the finest malt whiskies in Scotland - from the fresh, sweet malts of Speyside to the smoky sea salt of the Islands - all matured in selected oak casks for a richer flavour. The malt at the heart of the Bell's blend is rich, spiced and nutty (a bit like ginger cake), and comes from our home, the Blair Athol distillery. Nose: Quite soft and gentle. Malted barley and hints of cut herbs and a fresh floral note. Cereal and grist with a little honey. Palate: Quite smooth, medium body. Barley and cereals with nut oils, hints of wood and spice. Finish: Short with notes of fruitcake and smoke. 12 x 5cl Glass Bottles ABV: 40% Scotch whiskies are matured for a minimum of three years in oak casks Savour it neat, on ice, with a mixer or in a cocktail. It is an offence for any person under 18 years to buy or attempt to buy alcohol. Please drink responsibly.